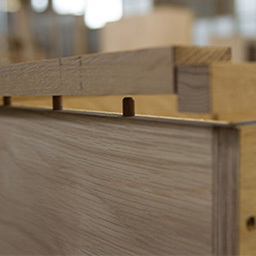 Naked Kitchens is the essence of the very finest in British manufacturing. If Brunel were alive, he'd want a Naked Kitchen. Most high-end kitchen manufacturers either over-price or under-deliver. Naked Kitchens changes all that. A bespoke kitchen should be the ultimate expression of style and substance on the outside, innovation on the inside. Only achievable through custom design without limits, it's easy to see why all of our kitchens are so beautiful to look at but have pure function at their heart. We achieve this with material specifications that eclipse all others and machining automation that results in tolerances common only in the aerospace industry. Design is our passion, It's that simple. 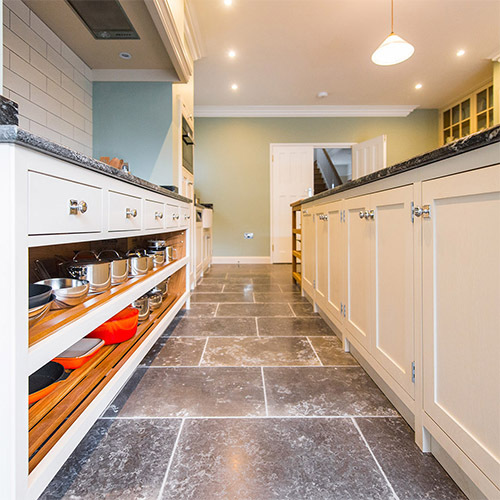 Classic shaker, true chef's kitchens through to contemporary family nerve centres, we can conjure up reality from any dream. A truly bespoke kitchen. We may not have limits, but overloading with too much choice is often counter productive, so our designers train specifically to understand what our clients actually want. Every kitchen is overseen by our design director through to the final product; shared knowledge and experience are the hallmarks of every Naked Kitchen. 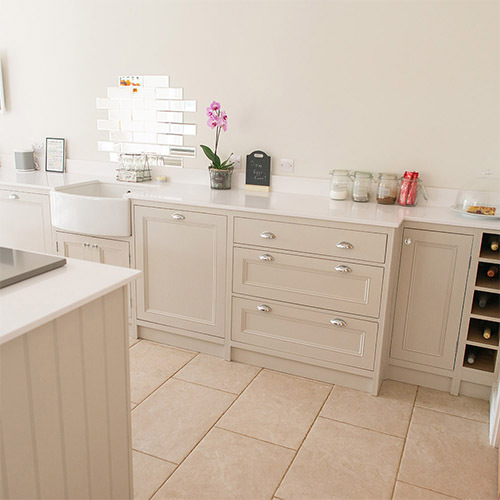 Naked Kitchens has often been described as the intelligent way to buy a kitchen. We don't need high street showrooms to sell our kitchens so you don't pay for them, instantly removing the biggest overhead after manufacturing. Our investment in technology is such that once the design is finalised, the same software drives our machining centres. Every process and each material component is so optimised our waste is less than four percent. Whilst all this may not sound exciting, the hard reality is that a Naked Kitchen is outstanding value for money. Every component cut by machines more suited to the aerospace industry, assembled and finished by hand. 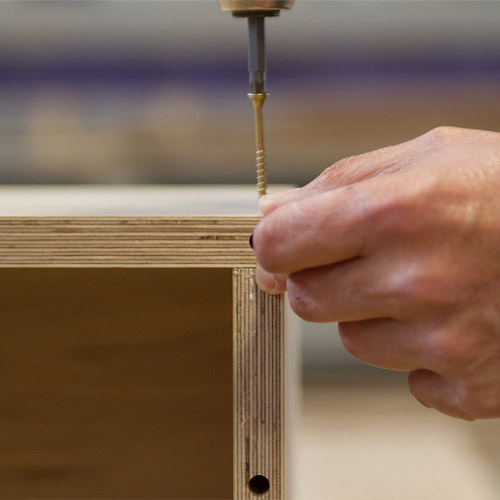 The perfect combination of precision and craftsmanship. Engaging Naked Kitchens is like having your own personal manufacturing facility. 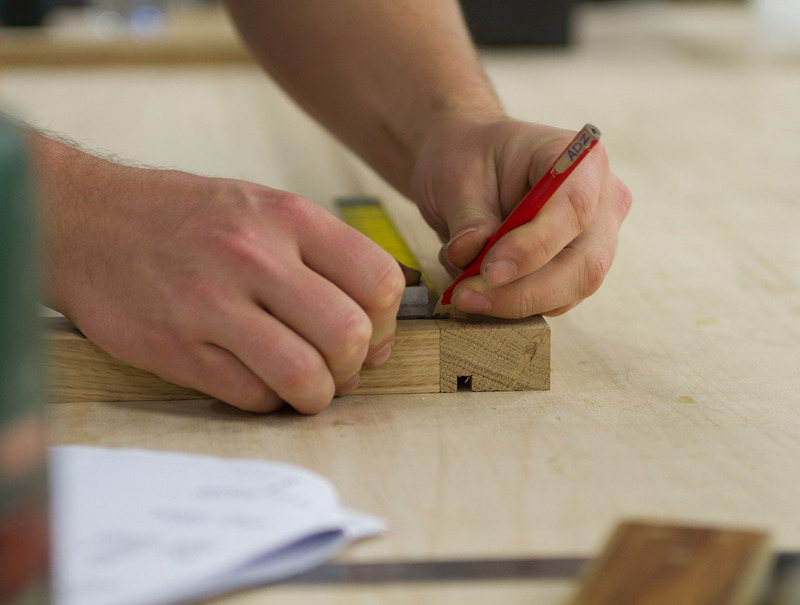 Whilst our showroom is a great place to get inspired and start to define detail, it's no surprise to us that clients get most enthused when they look around our fabulous manufacturing facility. A giant World War II aircraft hanger capable of fitting the entire Wimbledon centre court building. Twice. Built seventy years ago it's as good today as it was then - an inspiration to make things that last; exactly what Naked Kitchens is all about. And when we're making your kitchen, that facility is dedicated just to you. See our history page to find out more.